Human trafficking is a current issue, closely intertwined with processes of globalization and international migration. Practices that existed in the past as slave trade and forced labor have again resurfaced and have become the focus of political, academic, and public debates. 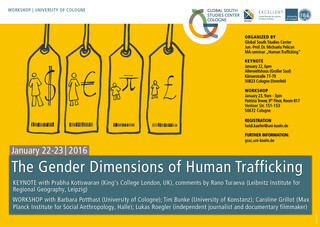 As widely suggested, women and children are disproportionately affected by human trafficking and related forms of exploitation and abuse. However, human trafficking is not limited to the realm of prostitution but exists also in other sectors, and involves both women and men in various roles and contexts. 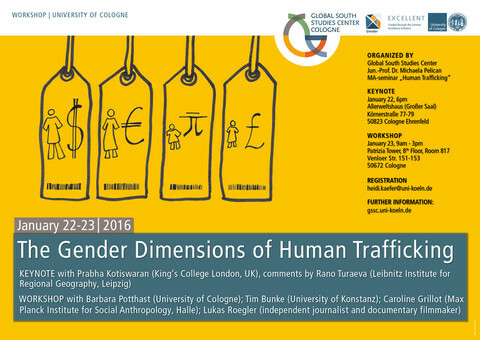 The aim of this workshop is to gain a better understanding of the gender dimensions and dynamics of human trafficking in different regional contexts, drawing on empirical case studies from the Global South and North. We may ask: What roles do women play in international networks that benefit from the exploitation of human labour? Which are the sectors in which also male migrants are exposed to deception and abuse? 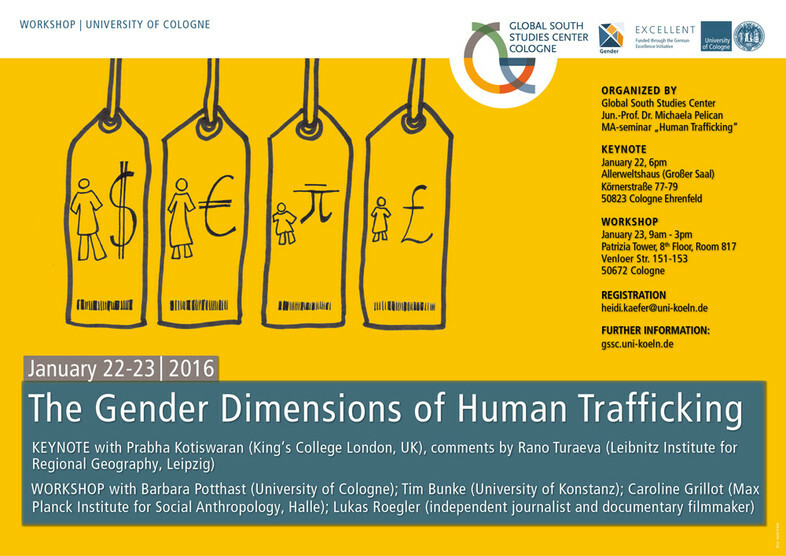 What are the contributions of female researchers and activists to mitigate and better understand the phenomenon of human trafficking? Invited experts will shed light on current and historical perspectives on the gender dimensions of human trafficking. They will draw on their experience in the academic and practical field, and their expertise in different regional contexts.